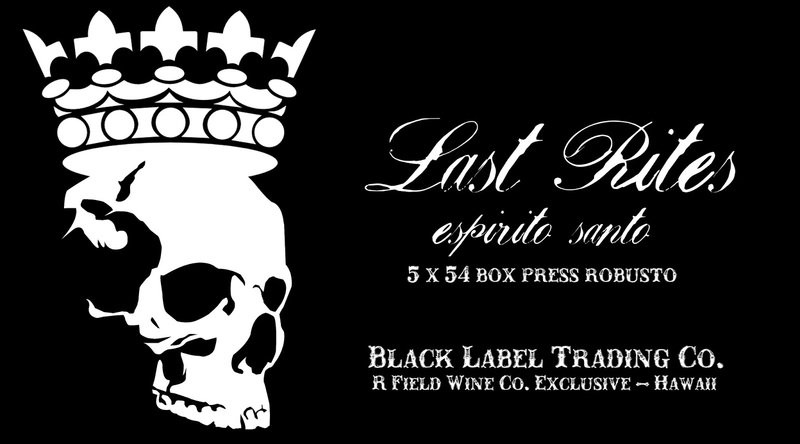 “I’m very excited to see the return of the Last Rites Box Press Robusto. R. Field Wine Co. does a great job promoting boutique cigars in Hawaii and the Last Rites will be a great addition to their exclusive portfolio. This cigar is robust, rich and earthy with tons of complexity. Many of our customers have been awaiting it’s return. We will be launching the cigar at an R. Field Wine co. event in Honolulu, April 28th, 2017,” said James Brown, creator of BLTC and partner at Fabrica Oveja Negra. LAST RITES BOX PRESS ROBUSTO will be available at R. Field Wine co. Honolulu, HI.